PIA website was under maintenance yesterday, you were unable to search or make bookings. This morning it has a new look. I don't like the functionality of the booking engine at all - you are unable to see flight prices for other days around the one you have chosen so you can compare prices etc. Also in the route map screen Kashmir is shown as a part of India. 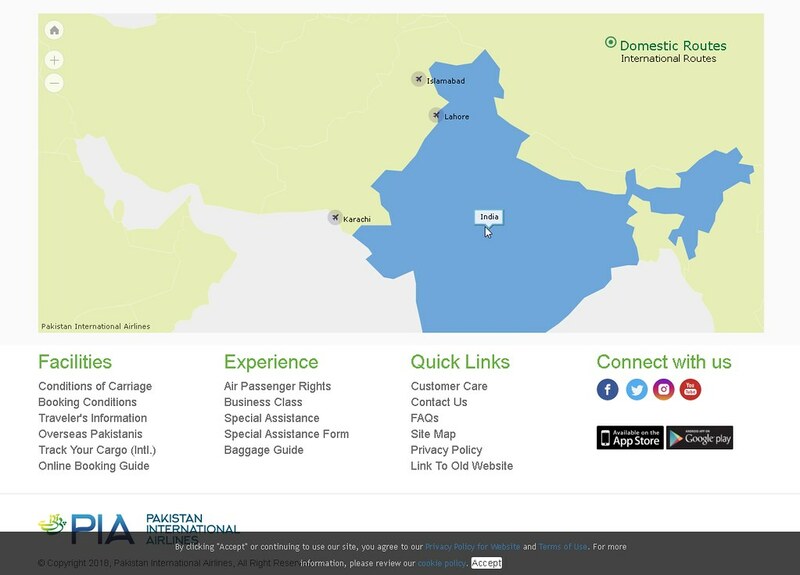 PIA new website appeared in Blue color theme. It means PIA will continue with its new Blue colored logo. How will they adjust the livery? Green Pakistan flag tail with the blue logo on the forward fuselage?